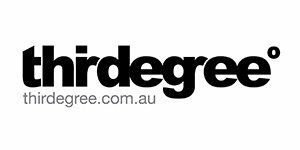 thirdegreeº is a NSW-based creative and brand development agency, which specialises in raising the visibility and profile of clients nationwide. Whether you need ad hoc graphic design support, or are considering freshening up your association or business brand, thirdegreeº can provide guidance, support and good old-fashioned customer service. thirdegreeº is making a range of offers available to Access1st users – including a FREE brand audit, valued at up to $1200! No matter what line of business you’re in, thirdegree’s brand audit will be of value. They’ll analyse your digital and print communications and provide advice and recommendations about what you can do to boost your brand profile. Valued at up to $1200, but available FREE to Access1st users, this could be the best investment you never make! Alternatively visit their Access1st users web portal and let them know the services you’re interested in.